Games that can be played with the standard 52-card deck are always games that anyone would surely welcome playing. They are classics and are basically card games that many ought to already know. Although some of these basic card games may have already evolved and changed through time, there's still no doubt that their roots are as straightforward, fun and captivating as they can be. In fact, these basic arcade card games have already been incorporated to arcades before and have been played by many as arcade card games. There are simply numerous card games that could fit into this category but in this article, we'll discuss only a few of the best basic card games that you may have already heard of before. Played by a single player, there's a reason why Solitaire is also called the Patience game. It is a past time that would make anyone feel ecstatic while also testing one's patience with the way it is played. Even Solitaire though comes in a wide variety of types which could encompass different sizes of the play area. 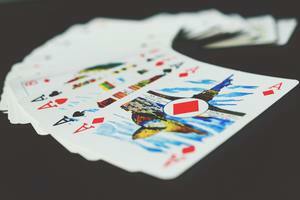 Typically, the game is played with a 52-card standard deck, one which is used virtually in all basic card games. There may be some hints of luck affecting the results of your victory or failure while playing Solitaire but it can't be denied that serious skills are also needed if you want to dominate it. The goal of the game is incredibly simple at first sight since you would just have to line up the cards in foundations of the suits in every draw you get. The moment all the cards are lined up, you're already victorious. However, achieving that feat is easier said than done as there are even instances where you could end up getting stuck. Make sure that you brush up with some common terms in the game before you decide to play it, especially if you even plan to engage on its online gambling option today. You'll see it online and you'll see it in numerous brick and mortar waging establishments as well. Just from this alone, Blackjack is evidently one of the most popular basic card games today. It's one of those fun and classic games online which is also very intuitive and easy to learn to play. The game is called 21 as well, and this is highly related to its goal. 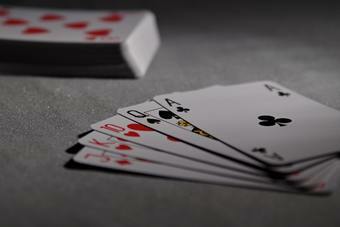 In this game, a player would be pinned against a dealer of the house or the establishment and the dealer would have the deck of cards in his possession. The deck could come in single or multiple ones as well. Cards would be dealt in an orderly fashion throughout the table and your final goal is to get a score of cards that would be as close to the 21 score but, it should not exceed that. You should also take the opportunity to learn the lingo of Blackjack if you're going to play, especially if you're doing it on a land-based establishment. In terms of popularity, this is perhaps the biggest and most renowned basic card game today. It has been one of the most resounding card game for a long time already and today, you'll even see numerous tournaments of varying degrees being hosted for this kind of competition. One of the things that you would have to accommodate yourself with, if you're planning to play the game, are the combinations of hands that you could have in this game, along with their corresponding worth. Learn what a Royal Flush is, Straight Flush, Four of a Kind, Full House, Flush and more, to ensure that you would not be left with no idea as you play the game. Poker has numerous varieties as well, but the typical poker can be played with a single or a double pack of a standard 52-card deck. The most critical factor when it comes to playing poker is your strategy and this involves your way of handling your hands along with how you'll place your bets. The better you are with your betting strategy, the longer you could stay on the table and have the chance to win the pot. These fun and easy card games are just as easy to play as video slot games at casinos. They are perfect for leisurely time and in fact, you could even play them online already, in so many diverse ways. There are live options, arcade card games platforms or more. Basic card games have become more within the reach of players who want to play them and if you even feel that you're already good at it, you can even gamble through these games both offline and online as well.